On 1st December 2018, Amadou Dina, Managing Director of Airtel, unveiled Wavetec’s Sim Dispensing Kiosk to the public at STC Hypermarket, Seychelles. The Self-service kiosks are now available at Praslin, Mahe and La Digue. The Self-Service Kiosk has made it easier for people to avail telecom services. 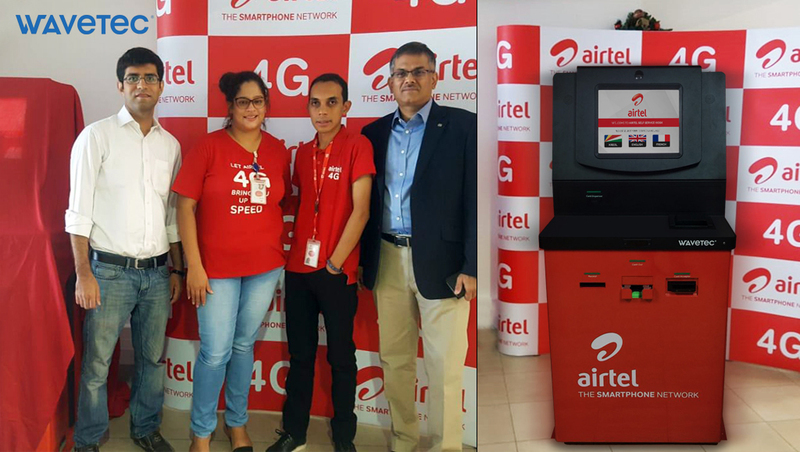 Placed at Seychelles Trading Company (STC) Hypermarket, customers can now use the Self-Service Kiosk to pay their Airtel bills, utility bills, top-up or purchase a newly registered sim card, dispensed within seconds. The machines are bilingual with English, French and Creole as supported languages, catering to the diverse needs of customers. In compliance with International Security Standards, the kiosks have built-in technology to identify counterfeit ID cards and/or currencies. The entire process is very easy, convenient and replaces the need to visit any franchise. The Commercial Director for Airtel, Heritiana Randrianarison, performed a live demonstration in front of an excited crowd on how the machine works at the STC Hypermarket.